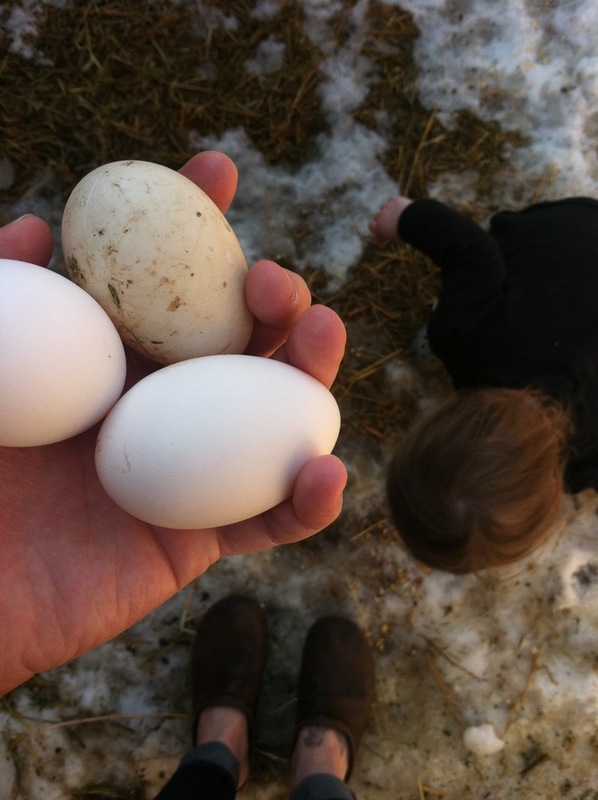 this afternoon: chicken and (finally) duck eggs. and having to tell ramona repeatedly not to eat the snow in the farm pen. yuck! Gorgeous! I miss having chickens so much! AND! We never did a playdate. Shoot me an email and let’s get it on the books. So pretty! Do you eat the duck eggs? If so, how do you prepare them? I’ve (obviously) never tried one, but have heard they are super rich. So curious about them! I want to try a duck egg next time we’re there!